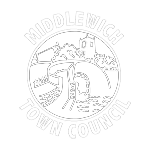 Middlewich Heritage run a number of tours that uncover the fascinating and varied heritage of Middlewich. Our fun and informative tours include the Roman Trail, the Ancient Middlewich Tour, the Canal & Salt Trail and the St Michael’s & All Angels Tour. Read more here.